Toys, bikes, books, games, crafts, sports equipment and stuffed animals were given to military families in need of assistance during the holidays. 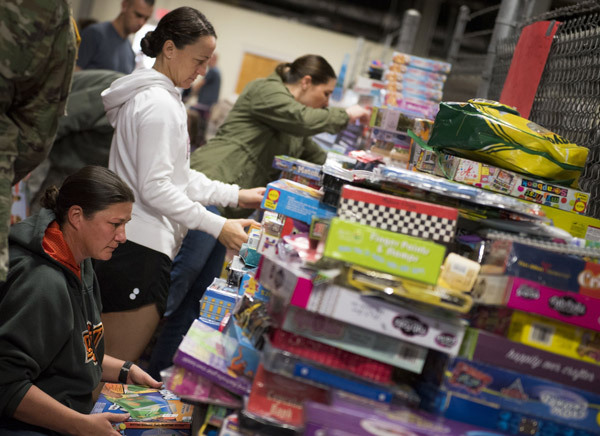 EGLIN AIR FORCE BASE, Fla. — More than 280 families and nearly 700 children will open presents Christmas day thanks to the installation’s annual toy drive Dec. 1-2. Toys, bikes, books, games, crafts, sports equipment and stuffed animals were given to active-military families in need of assistance during the holidays. The event was hosted by the Eglin First Sergeants Council and Airman’s Attic with support from Toys for Tots, a Marine Corps Reserve-run program serving to collect new toys as Christmas gifts for less fortunate children. According to Master Sgt. 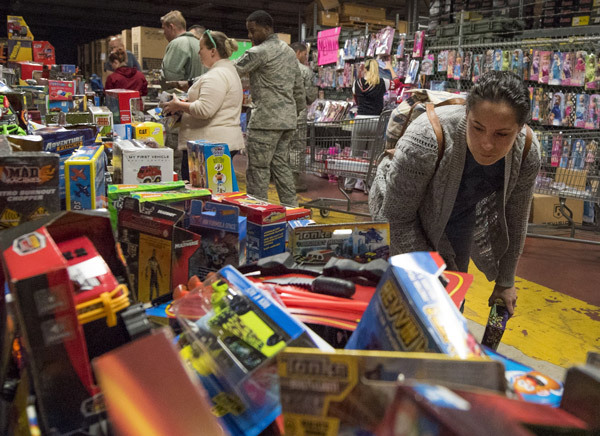 Benjamin Dees, project officer for the event and 33rd Maintenance Squadron first sergeant, the two-day event allowed families to “shop” from a large selection of toys collected through donations made throughout the year. The toys come at no cost to families. Most of the toys are collected nearly a year out. Donated toys arrive from many sources, including items Airmen’s Attic volunteers pick out from donations and toys collected through the Toys for Tots program. Local community organizations pitched in to help the council purchase 160 bicycle helmets to accompany bikes donated by Toys for Tots. 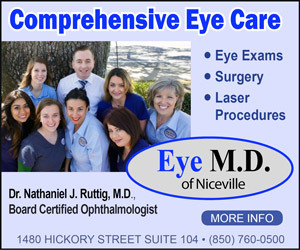 The Emerald Coast and Niceville Military Affairs Committees, CHELCO and Eglin Federal Credit Union donated $3,000 toward the effort. 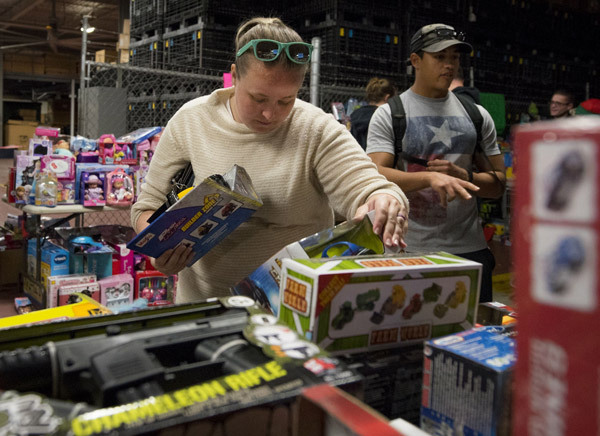 A mother checks out the variety of selections during the base’s annual toy drive. “We could have not have made this possible without the support of the local community, both with the generous monetary donations for the bike helmets and the contributions of toys directly to our cause or through Toys for Tots,” said Dees. The council is already gearing up for next year’s drive. 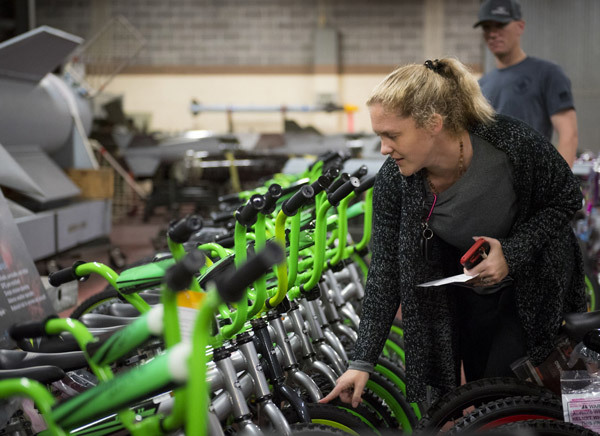 Volunteers have already replenished their bike stock and more toys are set to come in at the end of the month. A mother tries to make a choice from a variety of bikes. PHOTO (TOP): Tech. Sgt. James Archer, 28th Test and Evaluation Squadron, picks out a truck during the base’s annual toy drive at Eglin Air Force Base, Fla., Dec. 1. Toys, bikes, books, games, crafts, sports equipment and stuffed animals were given to active-military families in need of assistance during the holidays. Photos: U.S. Air Force photos/Samuel King Jr.